Shannon McWilliam is aiming to build on her bold show in the Spanish Women’s International Amateur Championship when she tees off in the Italian equivalent. What is it? C-segment cars continue to be a popular choice for UK buyers, but it’s arguably a tough class to crack for manufacturers. With the latest Ford Focus still flying off the shelves like those before it, the Volkswagen Golf proving to soldier on, and the patriotic among us buying Vauxhall Astras in their droves, it’s going to take a real gem for the rest of the industry to break into it. The north-east will host two high-profile Tartan Tour events this year. Aberdeen's Paul Lawrie has spoken of his excitement at taking on the Senior Open for the first time at Royal Lytham. North-east District secretary George Young has given the thumbs up to the most radical changes to the sport of golf for decades. Paul Lawrie is aiming to take on the world’s best Seniors on both sides of the Atlantic this year. Ben Read has followed in the footsteps of north-east professionals Richie Ramsay and Greig Hutcheon by winning the Spence Trophy... aged just 15. Aberdeen's David Law was among the four Scottish golfers to secure graduation from the Challenge Tour to next year's European Tour. Keith Grant was today starting his second day as the new general manager at Royal Aberdeen. 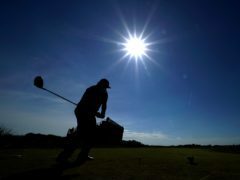 Too many people are missing out on the health benefits of golf, a sport which is good for both the mind and body and can help lead to a longer life, a panel of international experts has claimed. A new tourism strategy aiming to bring £1 billion of visitor spend into the north-east by 2023 has been welcomed by councillors. Former Scottish youths champion Stephen Roger’s trip to play in France’s top amateur tournament turned into a nightmare he could never have imagined. Debutant Erik van Rooyen made best use of benign conditions on the first day of the 147th Open Championship at Carnoustie to take an early lead.